Diabetes is a common, life-long health condition that affects some 3.2 million people in the UK. Surprisingly, there are an estimated 630,000 people who currently have Type 2 diabetes and don’t know about it. So it’s important to educate people about the condition, which is why Diabetes UK organises an awareness week annually. This year Diabetes Week runs from Sunday June 12 to Saturday 18 June. During the week the charity will explain about all the ways to get support for this medical condition. In addition, Diabetes UK also runs a helpline that gives expert advice to people with diabetes and is staffed by four dietitians and a nurse, who are based at their headquarters in Camden. One of the Clinical Advisors is Natasha Marsland, a former NHS dietitian who has been working at Diabetes UK for over a decade. We interviewed Natasha to find out what people with diabetes should be aware of when travelling or booking holidays. 1. Can you give us any advice for people who have recently been diagnosed with diabetes and are going on their first trip? Get a letter from your GP stating that you have diabetes and what medication you need to treat it. If you use a pump this should also be stated in the letter. Travel insurance is vital – you need to make sure that your diabetes is covered too. Make sure you wear a form of medical identification such as a bracelet or necklace in case you have an accident. It will inform medical professionals what medication you are on. Take at least double the amount of medication you need, such as insulin, pump supplies and glucose tablets – in case any is lost or stolen. Take carbohydrate snacks such as biscuits, cereal bars and fast-acting carbs such as glucose tablets, if you’re at risk of hypos. Take a copy of a recent prescription with the generic names of your medication with you, should you need to get more while away. Take some local currency with you in case you need to buy medication when you arrive, so you don’t waste time looking for a bank. Make a note of the phone number of the British Embassy in the country you are visiting in case you have an emergency. Call the Foreign and Commonwealth office on 020 7008 1500 or visit www.fco.gov.uk. Never choose the diabetic food option on a plane as it can be too low in carbohydrates, it’s better to take some extra food supplies with you. Apply for your European Health Insurance Card. Pack your needle clippers and sharps disposal container. 2. Are there any precautions people with diabetes should take before a holiday? It’s important to have the proper vaccinations for the country you’re visiting. You should also liaise with your health care team, especially if you are travelling long-haul from west to east or east to west, as you may need to change the amount of medication you take due to the difference in time zones. We always advise people to carry their medication on their person in case it gets lost, as people need to have a back-up plan. Ask your GP to prescribe double the medication you normally have and then share it between at least two bags or ideally two passengers if you are travelling with another person. 3. Are there any countries or climates that people with diabetes should avoid travelling to? There’s nowhere that people with diabetes can’t go. Destinations with extremes of temperatures can affect the accuracy of your Blood Glucose Meter as well as your diabetes control – as it can affect the absorption of insulin. So we recommend that people monitor their diabetes more often while on holiday. It’s important to be aware that insulin is damaged by very high and low temperatures too, so never put your insulin in the hold of an aeroplane. You can phone the hotel in advance to ask if there is a fridge in the room to help keep your insulin cool. Again, it’s all about preparation. 4. What are people most worried about when travelling with diabetes? Their biggest concern is normally whether they will be stopped at the airport with their insulin and medication. So that’s why we always advise that they talk to their GP before going on holiday to get a letter that states they have diabetes and what medication they need to bring with them. They are also worried about what they will do if their medication gets lost. People should phone the pharmaceutical companies who make the product that they take before they travel to check whether replacements would be available at their destination. Some people with diabetes “carb count” so we recommend refreshing yourself on the carb content of common foods e.g. rice and bread rolls and carrying a pocket dictionary which lists the carb content of foods e.g. ‘Carb and cals pocket counter’. This is important in countries where English is not widely spoken and the food is different to what you are normally eating. 5. Are there any activities that people with diabetes should avoid? People with diabetes can and do take part in all sorts of activities but do check with your health care team before you try a new activity and to get advice. Make sure your travel insurance policy includes the sport you’re wanting to try. There are many athletes who don’t let diabetes stop them doing sports – such as Olympic athlete Sir Steven Redgrave. 6. Does having diabetes stop people enjoying their holidays? 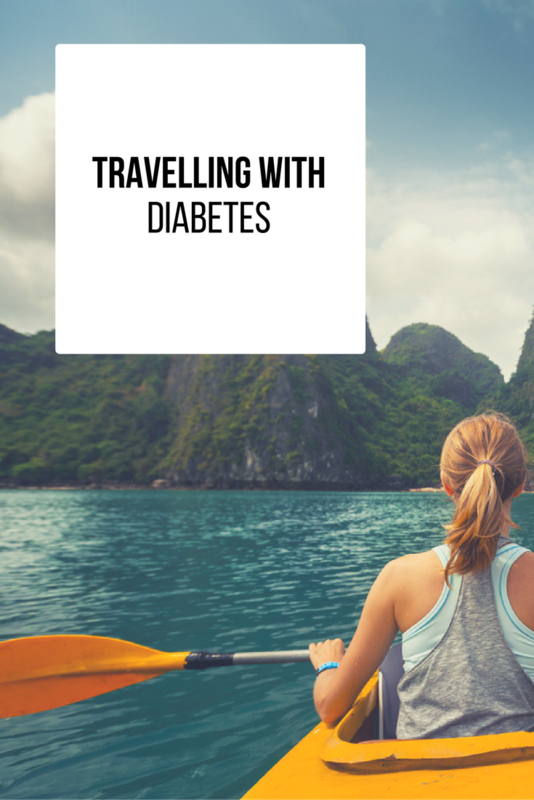 Having diabetes doesn’t need to be a barrier in the way you travel. It’s all about planning. 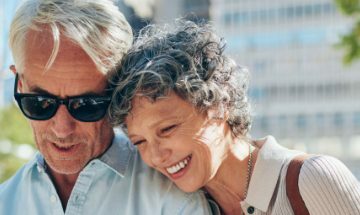 If you are recently diagnosed, there are a lot of things to consider when planning a holiday, but if you are going again and again, it becomes second nature. For more information about Diabetes Week visit the Diabetes UK website or call the helpline for advice on 0345 123 2399.